Anti inflammatory, anti depressant, anti spasmodic, anti septic, aphrodisiac, carminative, diuretic, tonic, sedative and cholagogue. Health benefits - anti-inflammatory, antispasmodic, decongestant, deodorant, antiseptic, antibacterial, and stimulating. Earthlite’s Multi-Purpose Massage Creme is luxurious with a silky glide and long lasting workability excellent for all massage modalities. SacredEarth Botanicals® unscented massage cream is thick, rich and concentrated so a small amount will offer several minutes of workability. Foot cream was formulated to bring relief to sore, cracked and achy feet and legs by increasing blood flow and promoting healing using a custom blend of organic essential oils and extracts. 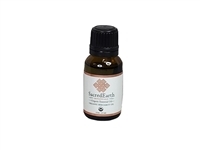 EarthLite Nut Free Massage Oil is an allergy-free alternative to traditional nut oils. The massage oil blend is light, glides easily over the surface yet provides enough drag to be excellent for deep tissue work. Health benefits: anti bacterial, anti microbial, anti septic, anti viral, balsamic, cicatrisant, expectorant, fungicide, insecticide, stimulant and sudorific. Get the best of both worlds with this USDA certified organic massage gel. Treat indigestion, respiratory problems, headache, nausea, fever, stomach and bowel spasms and pain. Health benefits: stimulate hair growth, boost mental activity, relieve respiratory problems and reduce pain. Warming massage lotion uses organic cinnamon oil and organic menthol crystals to create a gentle heating sensation, soothing achy muscles and helping to facilitate blood flow. Remove nervous tension, relieve pain, disinfect scalp and skin, enhance blood circulation and treat respiratory problems. The sinus mask is great for those suffering with headaches or may be used as a sleep aid to reduce excessive light. One size fits most. The outside cover has a hole at the top of the product for easy removal of the cover for washing. Product sold by single unit. Health benefits: deodorant, vulnerary, vermifuge, anti biotic, anti septic, anti spasmodic, sedative, analgesic, anti depressant, disinfectant, febrifuge, cicatrisant, digestive etc. Health benefits: spiritual up-lifter, ease muscle fatigue/stiffness, congestion, skin purifier, toner, hair growth. The wrist wrap is designed to offer therapy of the wrist or may be turned to address finger injuries. The top sheet is generously oversized and measures 58 x 88 inches to easily cover your larger clients. The elastic border on the fitted sheet and face rest cover run the entire circumference for a consistent, great fit. The cervical support rolls properly align to the spine providing comfort for the neck and head. Our flannel Samadhi-Pro Sheet Sets, Top Sheet, Fitted Sheet and Crescent Cover are made of pre-shrunk cotton flannel and are double-napped for an extra level of soft, luxurious comfort. This premium massage oil offers an easy glide, extended workability with just the right amount of friction – perfect for all massage modalities. The therapy mitt is designed to provide aid in reducing swelling or stimulating blood flow to the hand and fingers. This 30 piece set is perfect for the beginner or someone wanting to add to the massage experience.